We present you our top 1 product seller. Wheelchair swing for disabled people - Saturn swing. You could order it with lock system to provide more safety for every day play. 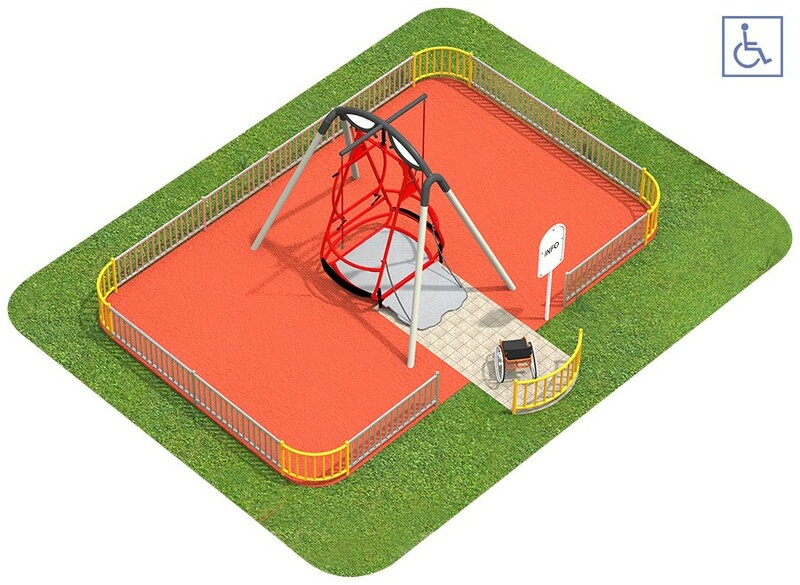 Now, you could also have an option to order additionally a fencing around the wheelchair swing to increase a safeness. We offer two standard color for bars: grey with yellow or grey with red. It's up to you which one you'd like better. Below you could see an exemplary projects with products as Saturn, fencing and information board. For more information, please visit our website or clink link down below to watch how to use Saturn swing.